THE NUMBER OF road deaths dropped by 4% last year, the lowest number of fatalities on the roads since records began. 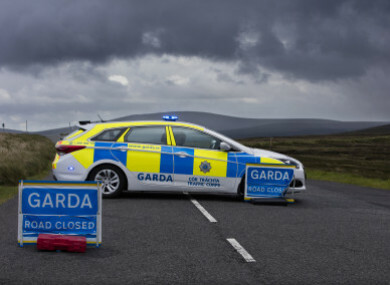 This compares with 156 deaths as a result of 141 fatal crashes in 2017, making last year the safest year on Ireland’s roads since deaths were first recorded in 1959. Transport Minister Shane Ross has said that while 2018′s figures were a marginal improvement on the previous year “they are not good enough”. “Speed continues to kill. Drink driving persists and unaccompanied learner drivers continue to break the law,” said Ross. In 2019 the crusade to improve road safety and save lives will accelerate. O’Donnell welcomed an increase last year in Gardaí policing Irish roads but called for funding for the roll-out of new smartphone and in-vehicle technology – commonly referred to as the Garda Mobility Project. This technology allows individual gardaí to check the licence and insurance status of drivers at the roadside and facilitates the identification of a range of offences, in particular disqualified drivers, unaccompanied learners and those driving uninsured, O’Donnell has said. Email “2018 saw the lowest number of deaths on Irish roads since records began”. Feedback on “2018 saw the lowest number of deaths on Irish roads since records began”.